Wheel hubs are crucial components of any vehicle, which is why it is imperative not to neglect signs that indicate a wheel hub replacement might be required. Usually, the amount of time before damage happens is connected to the driving conditions and/or any mechanical practices that occurred during the installation. A damaged or worn outer CV-joint might be the cause of odd noises like clicking, snapping or popping. But it could also mean there is excessive bearing endplay, often the result of poor clamping. At times you may hear clunking or knocking as well, which generally indicate excessive amounts of play in the U-joints or CV-joints. Your wheel hub assembly might be damaged if the steering wheel starts vibrating at lower speeds and progressively gets worse as the car accelerates. This problem could also lead to the steering wheel to feel loose when you drive down the road, negotiate dips, or make turns. The reason for this is commonly due to a worn out wheel bearing inside the hub assembly. Although a bad wheel hub isn’t the sole reason for abnormal tire wear, excessive looseness or bearing wear might be the cause as well. Brake pads or rotors might be worn due to a bad equalizer and/or caliper, but the excessive runout caused by damaged or worn bearings lead to severe looseness, which could lead to an uneven amount of wear on the rotor and/or brake pads. Usually, this will mean mechanical damage already exists within the wheel-end system. In regards to bearings, it could mean you have a lack of integrity, like raceway or roller damages. This noise is commonly heard while shifting or turning. Here too, the symptoms can be a result of worn tires, suspension or wheel components. In relation to the bearing or wheel hub, it often suggests the lack of clamp or bearing with mechanical damage that is severe. It occurs when lug nuts aren’t tightened properly as well. 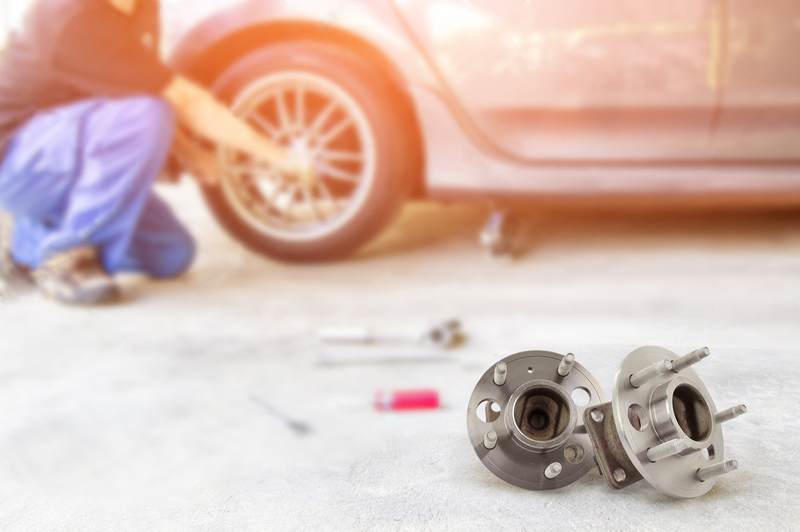 Apart from knowing about signs regarding wheel hub replacement, don’t ignore any funny noises made by your car or symptoms that seem bizarre – get a professional to give it a thorough once-over, so the defect (if any) can be detected and fixed immediately. Tags: car care, wheel hub.